Dan Peddie has 41 years of involvement in nonprofit organizations. He has worked at all levels of fundraising development – capital campaigns, planned giving, annual funds, special events, outreach programs, major gift solicitations (individuals, corporations, foundations), board and volunteer development, cause-related marketing, corporate and foundation grants. His work experience includes such well-known organizations as UCLA, World Vision and Young Life. Dan comes from FC Associates, where he specialized in major gift fundraising. Since starting in 2002, FC Associates has helped nonprofits on a strategic deployment of all available organizational assets – human and financial – toward an impact on fundraising. His mantra is, “Everyone raises money in a nonprofit whether they know it or not.” He is recognized for creative solutions that maximize resources cost effectively and in an integrative approach. Getting more out of the fundraising expense is a challenge he enjoys. Dan’s core markets are youth, education, sports, social services, cause-related marketing, sponsorship, corporate and foundation special gift funding opportunities. 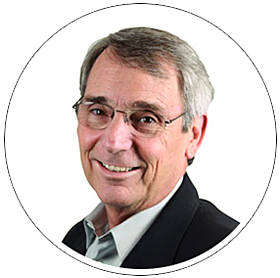 He has served on local boards for community development agencies, YMCAs, youth sports organizations and as a board member on Fuller Theological Seminary extension programs in Phoenix and San Diego. He also has experience in the for-profit sector co-founding Sports Development Corporation, a sports marketing consulting firm serving amateur, participation-based sports organizations. Utilizing traditional marketing techniques, SDC is focused on growing amateur and participation-based sports through its own signature properties and those of its for-profit and nonprofit clients. Working on revenue generation and marketplace positioning opportunities, Dan’s work in sports has focused on execution of sports marketing principles to increase nonprofits’ fundraising reach. Dan has earned the professional designation of Certified Fund Raising Executive (CFRE) and has actively participated in numerous professional organizations, including the Association of Fundraising Professionals (AFP), Council for the Advancement and Support of Education (CASE), Institute for Charitable Giving, National Committee on Planned Giving, San Diego Community Foundation and Christian Leadership Alliance (CLA). Dan holds a Bachelor of Science degree in communications from Northern Arizona University, Flagstaff, AZ. He also holds a master of theology degree from Dallas Theological Seminary, Dallas, Texas. His focus of study was Semitic languages and Old Testament studies. Dan lives with his wife and daughter in La Jolla, CA. Their two sons live nearby in San Diego and Los Angeles.